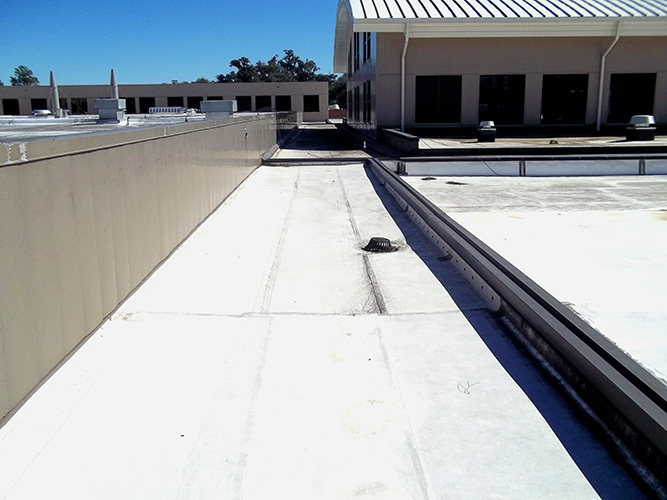 Liberty County Public Schools retained Raymond Engineering to remove the existing PVC roofing system of the Bradwell Institute to the decking, approximately 66,500 sq. ft. and install a new modified bitumen roofing system in ten areas. 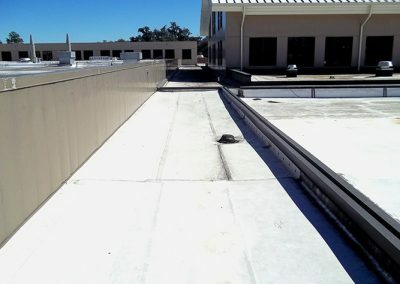 The existing metal wall panels above the roof level had to be trimmed to allow for complete removal of the existing base flashings and the installation of new 8 inch base flashing. There were two roofing systems on the areas and the top most roof system had metal base flashings over asbestos-containing base flashings. These flashings had to be removed and abated in accordance with local codes and were detailed in the specification to ensure that this work was accomplished under the contracted amount. The existing metal wall panels were preventing the installation of base flashings to meet the 8 inch flashings height requirement. 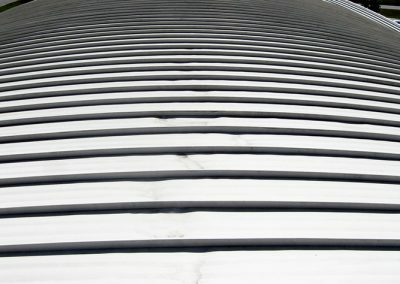 Raymond Engineering designed custom flashings that would support the bottom of the metal wall panels after they were trimmed; after which the base flashings could be efficiently installed. 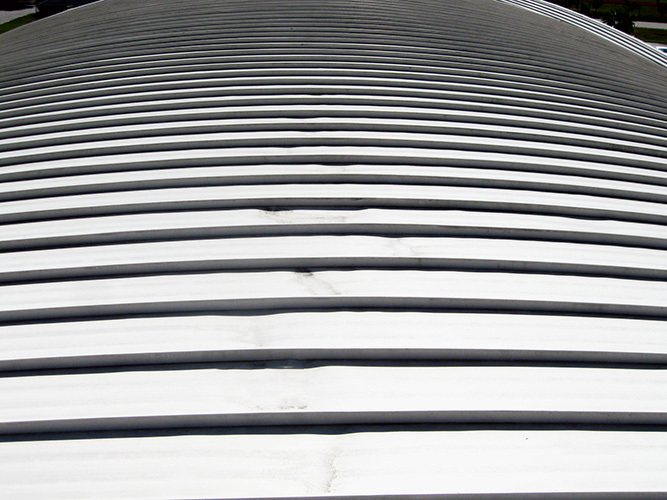 The use of hot asphalt to adhere the roofing was prevented due to the size of roof area. 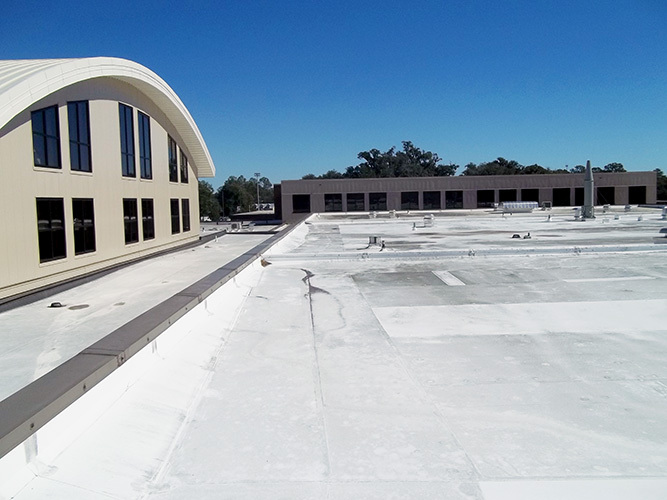 Raymond Engineering recommended a single-ply membrane. 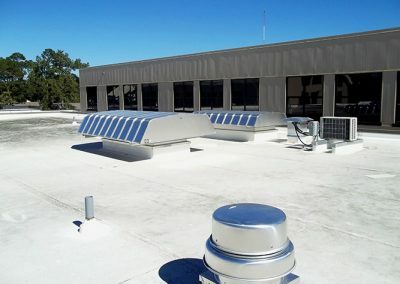 However, the Owner preferred an alternate design of installing a torch-grade modified bitumen roofing system. Prior to construction, Raymond Engineering identified asbestos containing materials. Therefore, proper abatement was specified in the construction documents and insulation thickness was increased at re-roofed low slope areas to reduced thermal operating cost.